High quality office furniture, desks, chairs, and file cabinet needs are also available at low costs on a special order basis. 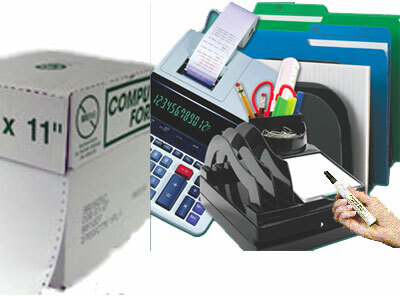 Joshen is The Total Package for your Office Supplies & Printing Needs! Contact us today for a full catalog of office supply products. Joshen is The Total Package for your Cash Management Needs! Contact us today and will we'll take care of matching your register models to the correct POS rolls, and deliver them to you at low costs along with your regular supply orders. Joshen Paper has well-trained designers and printing sources that can assist you with any kind of layout help you need; with quick response times. Joshen will work with you at whatever level you are at. If you want to do your own layout, we'll work with that also. We accept files from all major design applications (Adobe Illustrator, Photoshop, CorelDraw) and also take files from MS publisher, MS Word, and others. We will work with you regardless of your design platform, and help make your design a success.We make an effort to make your specialty print costs as affordable as possible. One less product category that you have to worry about so that you can focus on your core business. Have a comort level with your current printing source or a printing project already at press? Do you already have your materials printed that are being stored your warehouse or office, and your employees have to pick and ship? Look to Joshen for our distribution program solutions, and have your specialty print materials shipped directly to Joshen. We will pick and ship ANY or ALL of your specialty print materials along with your supply product orders; saving you on direct to store small shipments, and your employees time. Take advantage of our b2b on-line order system, complete with images of your specialty print materials so your locations will know exactly what they are ordering! Joshen Paper prints a large amount of multi-part carbonless forms each year for our customers. If you need invoices, load slips, sales slips, order forms, statements, or just about any kind of form you can imagine, we’ve probably already printed one. We custom design our forms to incorporate your business logo and color scheme. Don’t like the way your current form is set up, no problem. Bring it in to Joshen and our expert designers will make whatever changes are necessary to make it into the form you need for your business. We also offer numbering, perforating, booking, padding, continuous forms, and about any other kind of forms work you can imagine. Joshen Paper is able to provide your business with the right look, offering tremendous selection of paper stocks, with coordinating letters and stationary; and all at very low prices. We can print your business cards in one, two or full colors; with or without raised ink. We offer great flexibility with regard to graphic layout and font selection, and low minimum order quantities. Joshen Paper can provide you will all kinds of stationery, envelopes, business cards and other correspondence. Perhaps you would like some personal stationery or thank you cards. Maybe, you want to start your own business and need the right image, or you just want a new look for your existing company stationery. Whichever the case, we provide high quality products at very low prices. 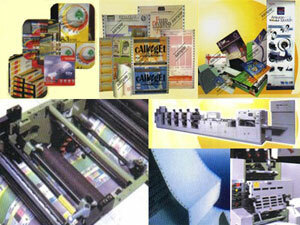 Joshen Paper has extensive experience producing high quality product literature. Whether your project is relatively simple or extremely complex, we can meet the needs of your business. From simple, one color single page documents to full color multi-page human resource manuals, Joshen will procure outstanding literature that will bring your business to the next level.